Palliative sedation involves the intentional lowering of consciousness in the last phase of life to relieve refractory symptoms. Most ethical controversies concern the application of continuous deep palliative sedation. After an introduction about prevalence and terminology, the concept of a refractory symptom is discussed from an ethical viewpoint in particular with regard to existential suffering. After this, several ethical approaches to the topic of artificial hydration in relation to life expectancy are considered. This is followed by a reflection on decision-making for palliative sedation, in particular the role of informed consent and the possible emotional burden for family and professional caregivers. After this, the rule of double effect is discussed. Finally, the debate about palliative sedation and (hidden) euthanasia is introduced. Continuous deep palliative sedation as a last resort option for patients at the end of life operates at an ethical fine line and should avoid both postponing and hastening of death. However, it is concluded that palliative sedation is rightly considered part of palliative care. Nevertheless ongoing concerns need further attention, for example, a need for up to date, ethically balanced, and well-implemented practice guidelines and a careful communication with patients and families. Broeckaert B. Palliatieve sedatie. Federatie Palliatieve Zorg Vlaanderen. 2012. http://www.pallialine.be/template.asp?f=rl_palliatieve_sedatie.htm. Last accessed March 2018. ‘De Standaard’, November 2017. http://www.standaard.be/cnt/dmf20171126_03208014. KNMG Committee on the National Guideline for Palliative Sedation. Guideline for palliative sedation. Utrecht. 2009. 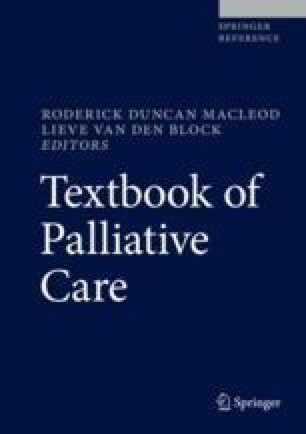 Available via https://www.knmg.nl/advies-richtlijnen/dossiers/palliatieve-sedatie.htm. Accessed 2 Feb 2018. World Health Organization. WHO definition of palliative care. WHO. 2002. http://www.who.int/cancer/palliative/definition/en/. Last accessed March 2018.